The Flander's Mechatronics Technology Centre ( www.fmtc.be ) has released a toolbox for creating Orocos components in Matlab/Simulink from The Mathworks. 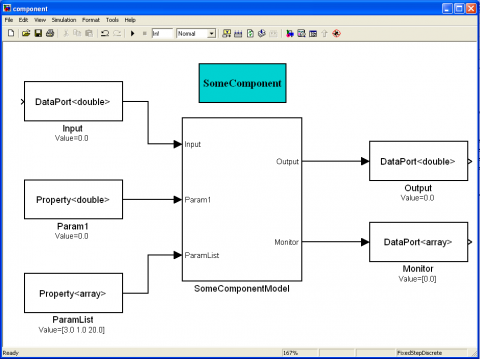 It lets you generate from Real-Time Workshop a ready to use component from a Simulink model. The toolbox works for Simulink in Linux and Windows and comes with a Windows installer and a user manual. A component generated with this toolbox can be immediately compiled and loaded in an Orocos application, without the need to write extra code. There is a User Manual which demonstrates an example. You are free to use, modify and distribute this software as specified by the GPL. However, FMTC can only maintain third party contributions if the copyright is transfered to FMTC. Matlab, Simulink and Real-Time workshop are registered trademarks of The Mathworks. Submitted by kizzyStephens on Thu, 2011-01-20 07:30. It's a perfect tool box for creating Orocos components. Submitted by kizzyStephens on Thu, 2011-01-20 07:32. Awesome and informative post...Two thumbs up for this post..